Durham, NC — Saying that he was almost glad that he didn’t get in off the wait list at Dartmouth or Cornell, Braden McEwing, Duke University junior, told reporters yesterday that the fun provided by his school’s basketball team made him feel okay that he did not go to an Ivy League school. He reiterated that sentiment last night, on the eve of Duke’s first-round matchup against fourteen-seeded Mercer University, right after his sister texted him excited that Harvard had won its own first-round game. 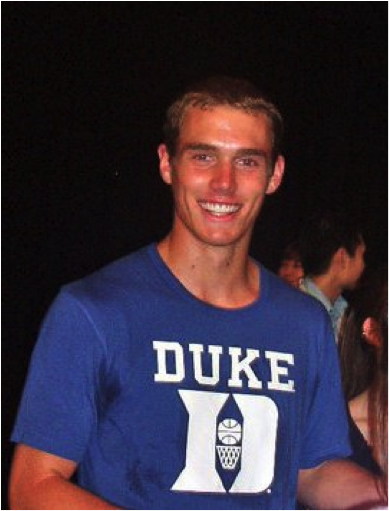 Just searched for the name of this student in Duke Directories and on Facebook, and this person doesn’t attend Duke. Therefore, I conclude that your story is false. And, by the way, Duke’s connections are just as good as Princeton’s. Hahahahahaha. I’m really hoping it is too. She doesn’t know. Don’t tell her, SHE DOESN’T KNOW! This is a satirical website. You, Sarah, are not the brightest bulb in the chandelier.